Imagine a life without ears. Just think of how miserable it would be to trudge through the daily grind unable to experience your favorite songs! Unfortunately, most people do have a strong sense of hearing but are still unable to properly process the true beauty of music. When you’ve grown up listening to audio through cheap dollar store headphones, you don’t realize the true sound of music as experienced through the TREBLAB X5 Wireless Earbuds. These are not just any typical earbuds. The TREBLAB X5 Wireless Earbuds will revolutionize the way you experience music! From the crisp beryllium drivers that deliver fully-balanced sound to the perfected Bluetooth connection that provide seamless connectivity, these earbuds are like a dream come true. You’ll soon bring them along everywhere, whether it’s to the gym, grocery store, or school. With other key features like an extra-long 6-hour battery life and ergonomic fit, the TREBLAB X5 Wireless Earbuds are the best earbuds at this price range. Plus, they even have an IPX4 water resistance rating! Start experiencing high fidelity audio like never before. 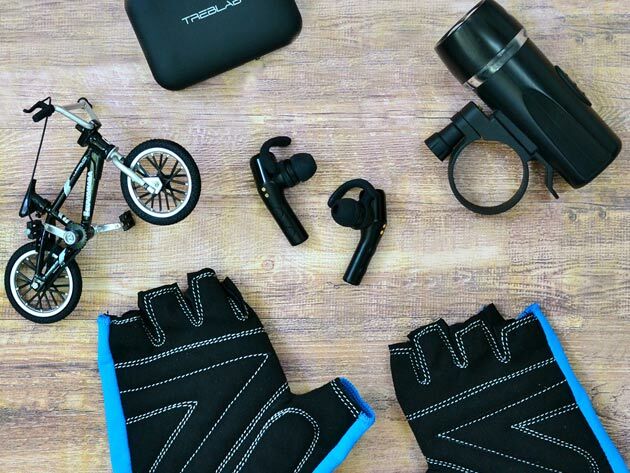 Get the TREBLAB X5 Wireless Earbuds today for 17% off the original price. They’re yours for just $64.99.